This guide provides an overview of the Delaware Health Insurance Exchange including the history of the exchange, how the exchange will operate, and exchange information for Delaware residents and small businesses. 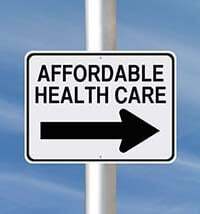 As an overview, beginning in 2014 as part of the Affordable Care Act (ACA), health insurance coverage for individuals and small businesses will become available through new state health insurance exchanges (also called health insurance marketplaces). Delaware has entered into a state-federal partnership exchange. Delaware will manage all plan management and consumer management functions, meaning they will approve and regulate all insurance plans, and provide enrollment assistance and customer service. The Delaware Health Insurance Exchange will open October 1, 2013, with coverage beginning January 1, 2014. According to the Delaware state website (www.delaware.gov), in December 2012 Delaware was the first state to receive conditional approval from the Department of Health and Human Services (HHS) to operate a state-federal partnership exchange. Delaware’s decision to create a state-federal partnership was driven by a state analysis focused on finding the most cost effective way for the state to maintain control of the Exchange. A partnership model allows for less financial risk to the state, while helping to maintain in-state knowledge for coordinating coverage and seamless transitions among Exchange plans and major public coverage programs such as Medicaid. Click here for more information on exchange planning efforts in Delaware. Delaware Health Insurance Exchange - What Is It? The Delaware Health Insurance Exchange will be an online marketplace where Delaware individuals, families, and small businesses can compare health plans and select a plan that fits their needs and budget. Starting in October 2013, Delaware residents will be able to access information about all the plans available through the Exchange. A key part of the Delaware Health Insurance Exchange is that eligible individuals and families will be able to access individual premium tax subsidies, capping the cost of their premium between 2% to 9.5% of income. Eligibility is based on household size and income (up to 400% FPL). The Exchange will also screen for Medicaid and public assistance programs. According to an estimate by healthcare.gov, approximately 71,955 or 10% of Delaware’s non-elderly residents are uninsured, of whom 61,846 (86% of these) may qualify for either tax subsidies to purchase coverage in the Marketplace or for Medicaid, if Delaware participates in the Medicaid expansion. The Delaware Small Business Health Options Program “SHOP” Exchange will be available for small businesses who do not offer employer sponsored insurance. Per federal guidelines, in 2014 employers will be able to select one plan to offer to their employees; in 2015 and onward, small businesses will be able to let their employees choose coverage from a number of plans. The SHOP Exchange will be available for small businesses with the principal place of business located in Delaware, or with employees who work in an office in Delaware. An estimated 100,000 Delawareans will be eligible for coverage through the Exchange in 2014. According to the Delaware Department of Health and Social Services Secretary Rita Landgraf, about 35,000 are expected to participate. Delaware Health Insurance Exchange - What Plans Will be Available? All plans offered through the Delaware State Partnership Health Insurance Exchange will meet the ACA definition of a Qualified Health Plan (QHP). The plans will be offered by level of coverage for essential health benefits (EHB), to allow consumers to compare plans on an "apples to apples" basis. The four "metal" levels are: Bronze (plan pays 60%), Silver (plan pays 70%), Gold (plan pays 80%) and Platinum (plan pays 90%). According to the Delaware Health Care Commission, the state will complete its review of QHPs and stand-alone dental plans and make recommendations for certification by July 31, 2013. The online consumer portal for the Delaware Health Insurance Exchange is expected to be launched in late summer 2013. The Delaware Health Insurance Exchange will follow federal guidelines for insurance professionals selling policies through the Exchange. Agents and brokers will be permitted to enroll individuals and small businesses in a qualified health plans (QHPs) through the Exchange, and receive any commissions directly from the carriers as they do today. The agent or broker must meet requirements including an agreement, training, and registration. Navigators will provide a specialized level of outreach and assistance to at-risk populations in the state. It is anticipated that $600,000 will be provided for the Delaware navigator program. Additionally, Delaware will also have Marketplace Assisters (MPAs) trained and certified to provide outreach and customer assistance. Both MPAs and Navigators will be under supervision of the state. Click here for more information about Delaware’s agent and broker involvement.